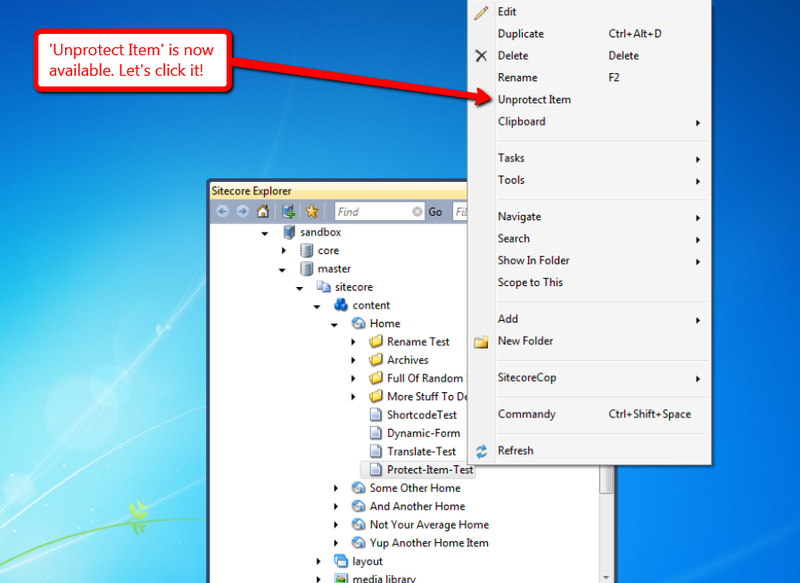 The other day I read this post where the author showcased a new Clipboard command he had added into Sitecore Rocks, and immediately wanted to experiment with adding my own custom command into Sitecore Rocks. 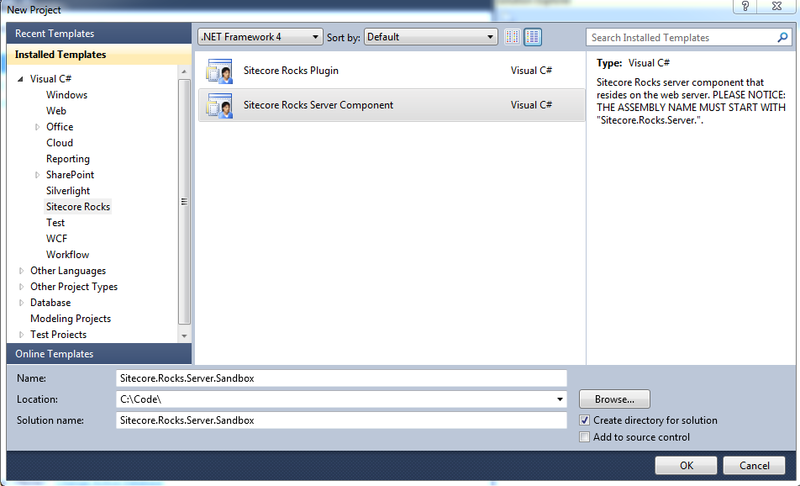 After some research, I stumbled upon this post which gave a walk-through on augmenting Sitecore Rocks by adding a Server Component — this is an assembled library of code for your Sitecore instance to handle requests from Sitecore Rocks — and a Plugin — this is an assembled library of code that can contain custom commands — and decided to follow its lead. 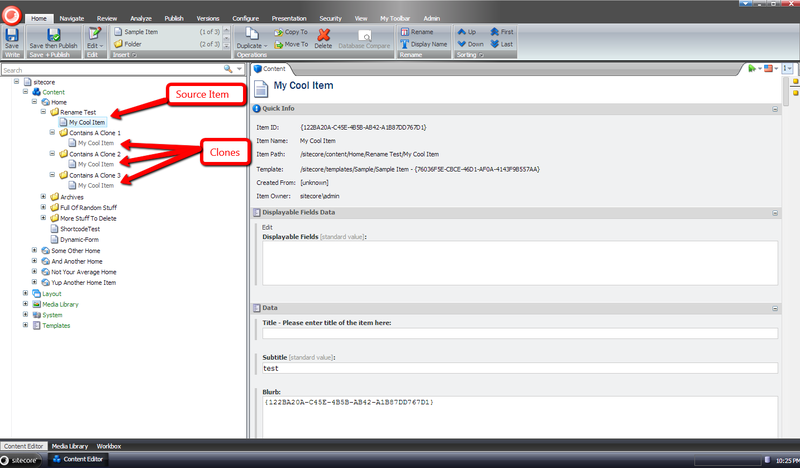 The EditItem base class above gets the Item in the requested database, and puts the Item into edit mode. It then passes the Item to the UpdateItem method — subclasses must implement this method — and then turns off edit mode for the Item. 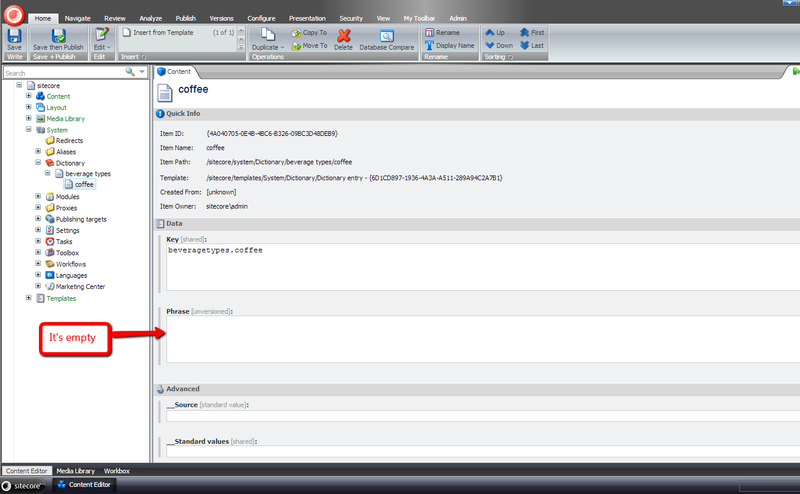 As a side note, all Server Component request handlers must have a method named Execute. 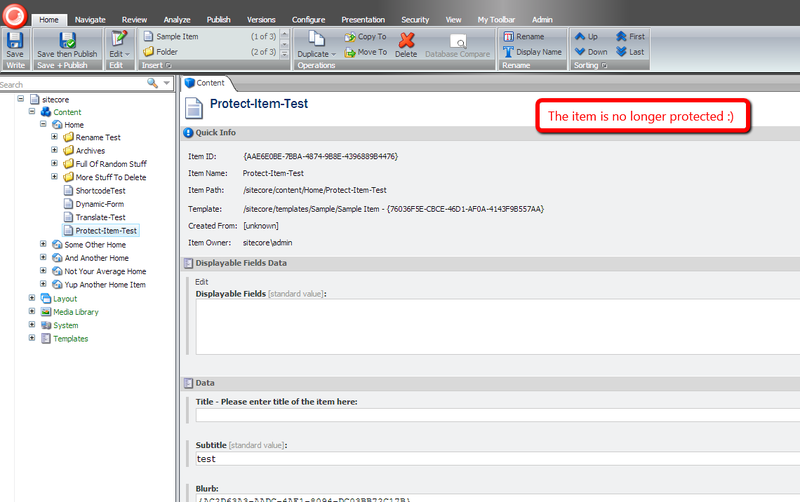 The ProtectItem class above just protects the Item passed to it. 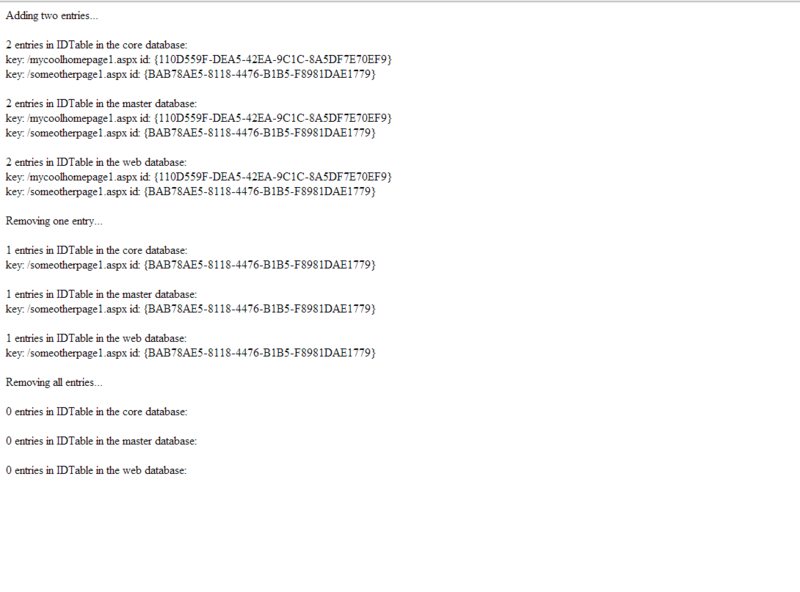 I built the above Server Component solution, and put its resulting assembly into the /bin folder of my Sitecore instance. 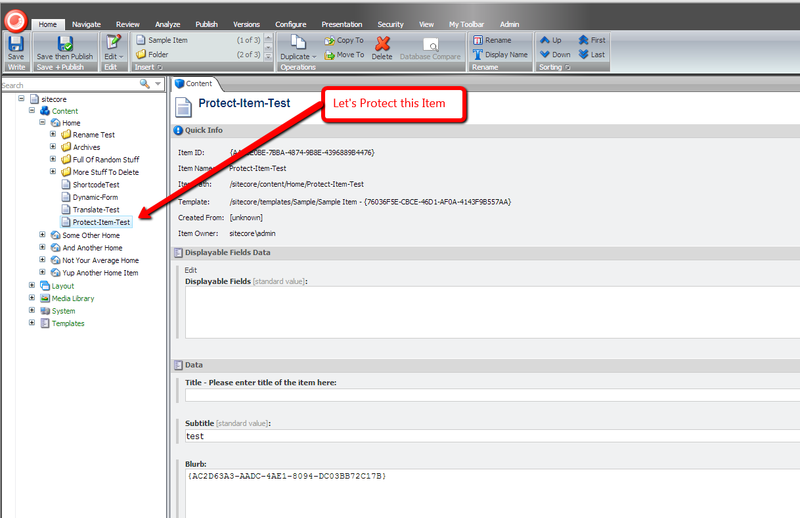 The ProtectItemCommand command above is only displayed when the selected Item is not protected — this is ascertained by logic in the CanExecute method — and fires off a request to the Sitecore.Rocks.Server.Requests.Attributes.ProtectItem request handler in the Server Component above to protect the selected Item. 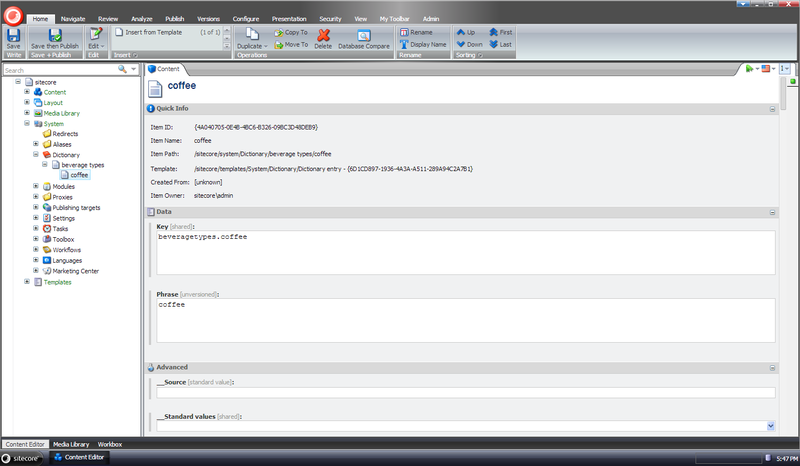 I had to do a lot of discovery in Sitecore.Rocks.dll via .NET Reflector in order to build the above commands, and had a lot of fun while searching and learning. 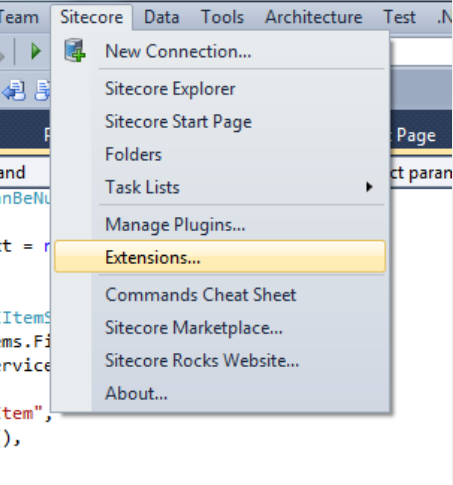 Unfortunately, I could not get the commands above to show up in the Sitecore Explorer context menu in my instance of Sitecore Rocks even though my plugin did make its way out to my C:\Users\[my username]\AppData\Local\Sitecore\Sitecore.Rocks\Plugins\ folder. 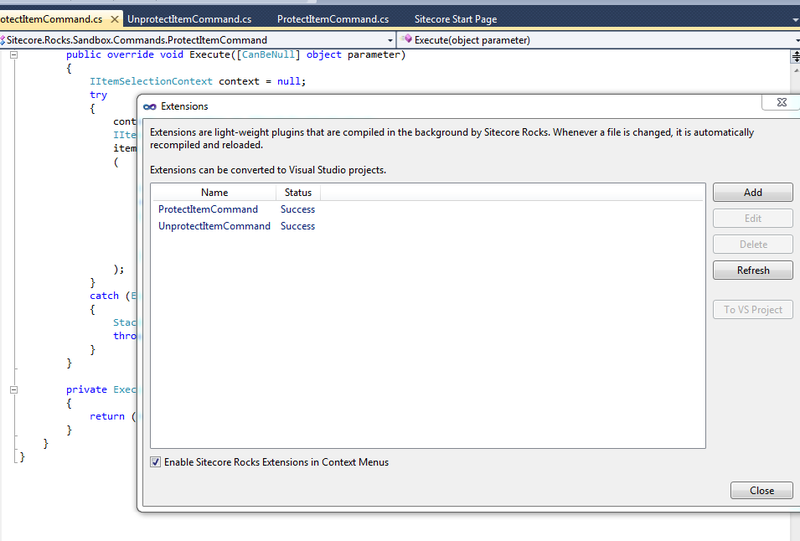 If you have any thoughts on this, or ideas for other commands that you would like to see in Sitecore Rocks, please drop a comment. 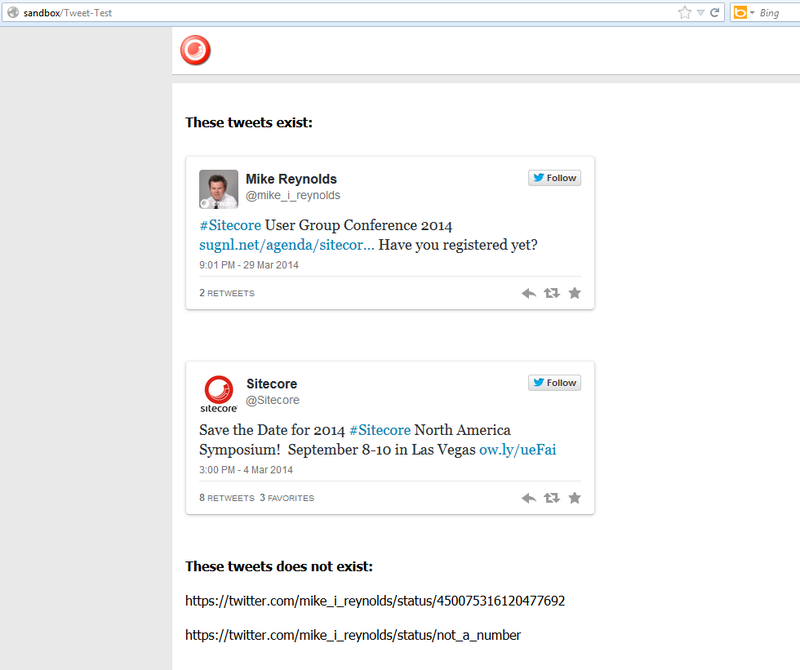 Until next time, have a Sitecoretastic day, and don’t forget: Sitecore Rocks! 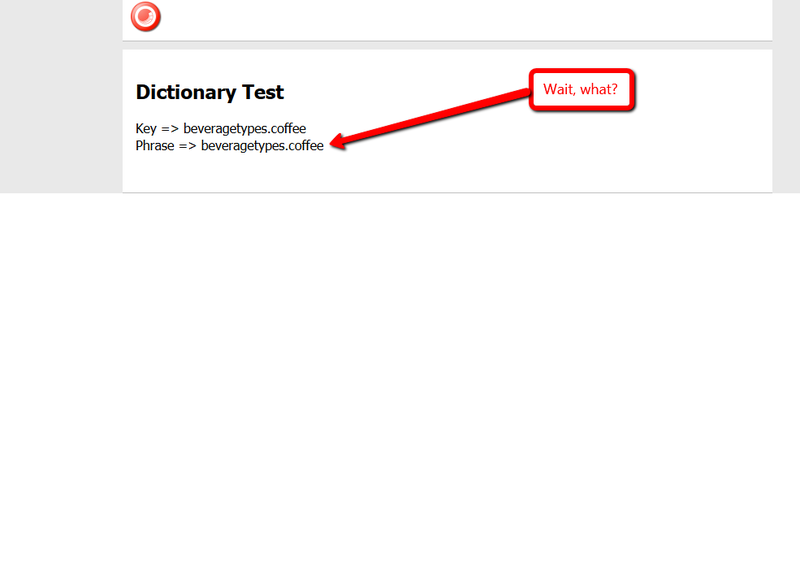 Earlier today when doing research for another blog post around on-demand language translation in Sitecore, I remembered I wanted to blog about an issue I saw a while back when using the Sitecore Dictionary, but before I dive into that issue — and a possible approach for resolving it — let me give you a little information on what the Sitecore Dictionary is, and why you might want to use it — actually you probably should use it! 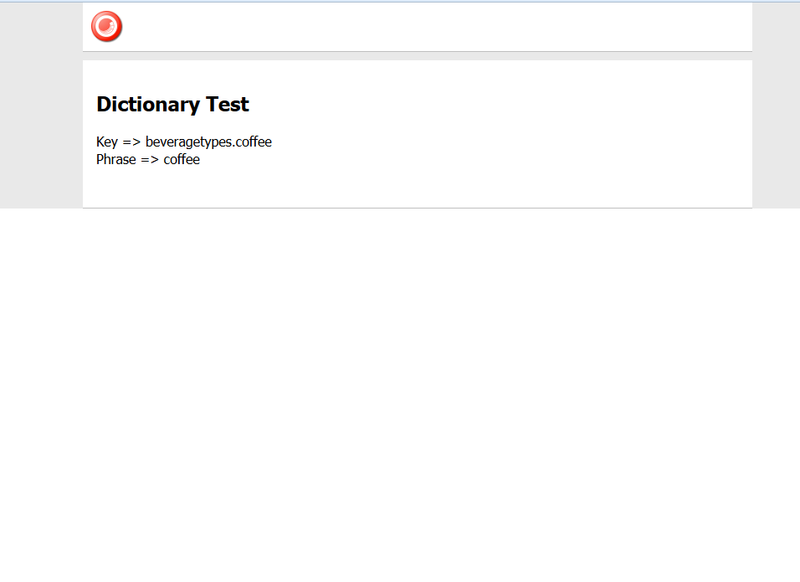 The “coffee” item above is the Dictionary entry, and its parent item “beverage types” is a Dictionary folder. 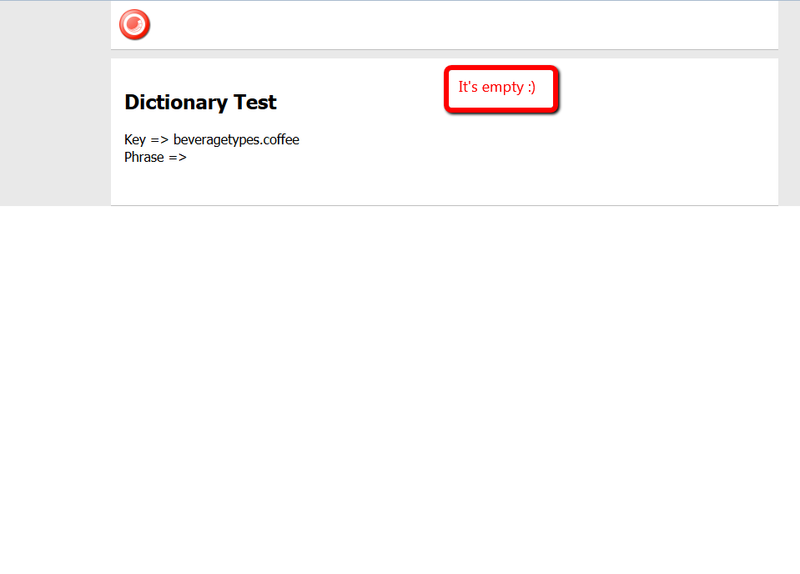 In the Page_Load method above, I’ve invoked Sitecore.Globalization.Translate.Text() to grab the value out of the Phrase field of the “coffee” Dictionary entry using its key. The Sitecore.Globalization.Translate.Text() method uses Sitecore.Context.Language to ascertain which language version of the Dictionary entry to use. As you can see the Danish version appeared, and I did not have to write any additional code to make this happen. The idea here is to check to see if the Dictionary entry’s key starts with a configuration defined prefix, and if it does, set the GetTranslationArgs instance’s Result property to the empty string when it’s null. 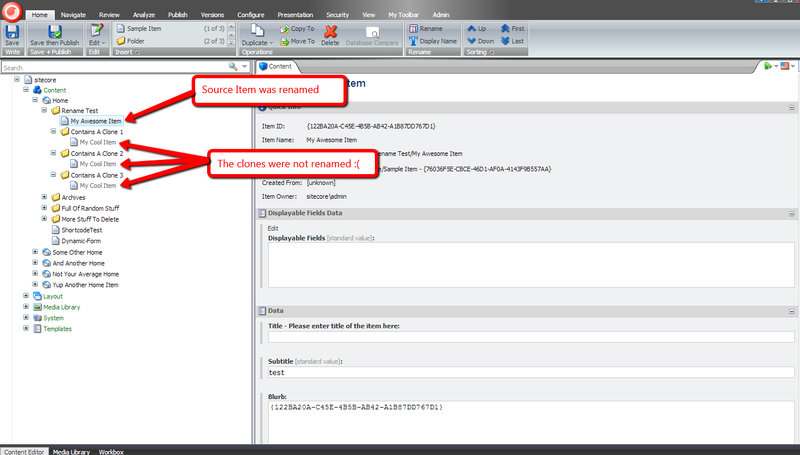 The reason why we check for a specific prefix is to ensure we don’t impact other parts of Sitecore that use methods that leverage the <getTranslation> pipeline (I learned this the hard way when virtually all labels in my instance’s Content Editor disappeared before adding the logic above to check whether a Dictionary entry’s key started with a config defined prefix). When I navigated back to my page, I see that nothing appears for the Dictionary entry’s phrase since it was set to the empty string by our pipeline processor above. 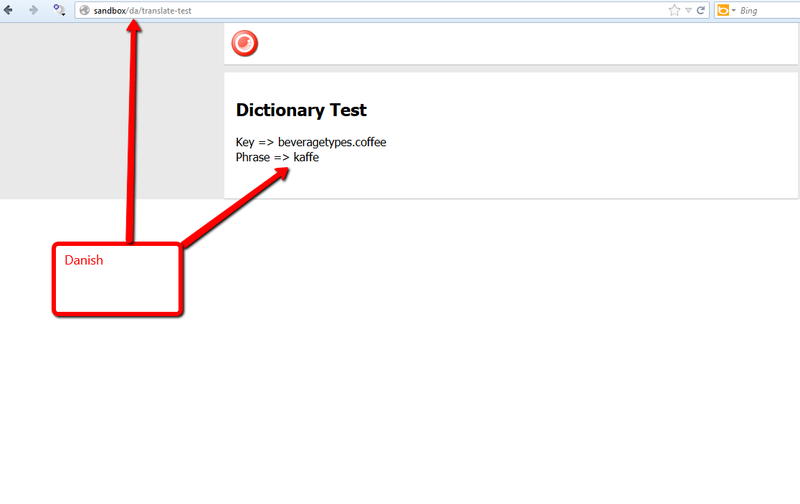 One thing I should note: I have only tested this in Sitecore 6.6, and I’m not aware if this Dictionary entry issue exists in Sitecore 7. 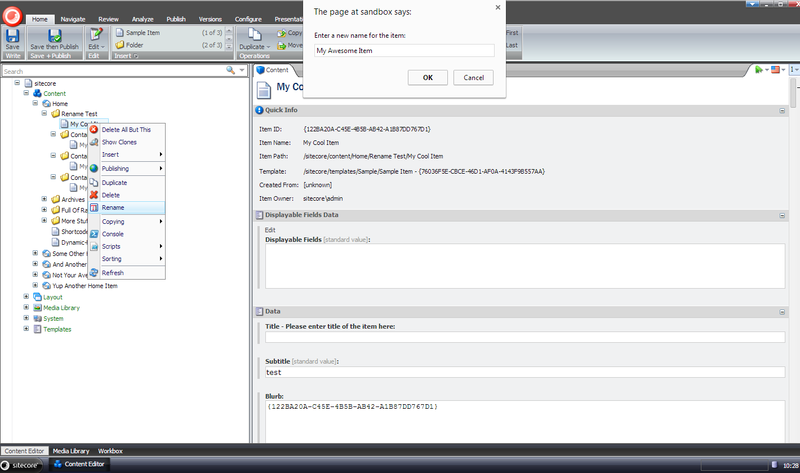 If this issue was fixed in Sitecore 7, please share in a comment. 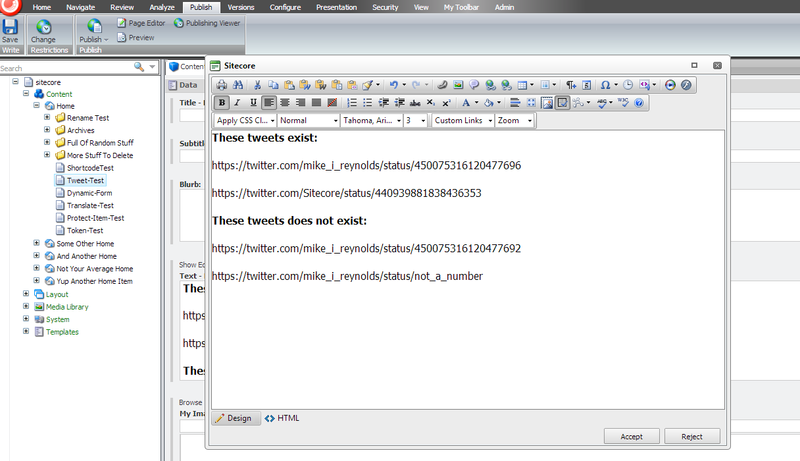 Plus, if you have any comments on this, or other ideas for solving this problem, please leave a comment. 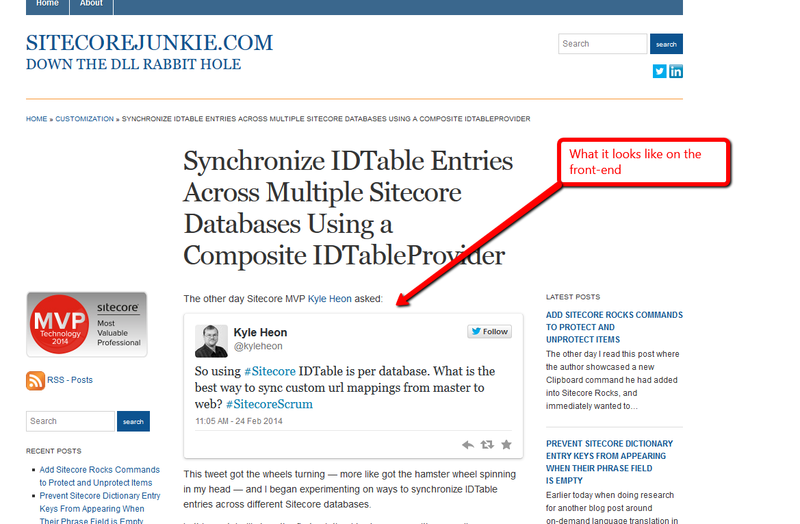 This tweet got the wheels turning — more like got the hamster wheel spinning in my head — and I began experimenting on ways to synchronize IDTable entries across different Sitecore databases. In this post, I will show the first solution I had come up with — yes I’ve come up with two solutions to this although no doubt there are more (if you have ideas for other solutions, or have tackled this problem in the past, please share in a comment) — but before I show that solution, I’d like to explain what the IDTable in Sitecore is, and why you might want to use it. Assuming you’re using SQL Server for Sitecore, the “out of the box” IDTable in Sitecore is a database table that lives in all Sitecore databases — though Sitecore’s prepackaged configuration only points to the IDTable in the master database. One has the ability to store key/value pairs in this table in the event you don’t want to “roll your own” custom database table — or use some other data store — and don’t want to expose these key/value pair relationships in Items in Sitecore. 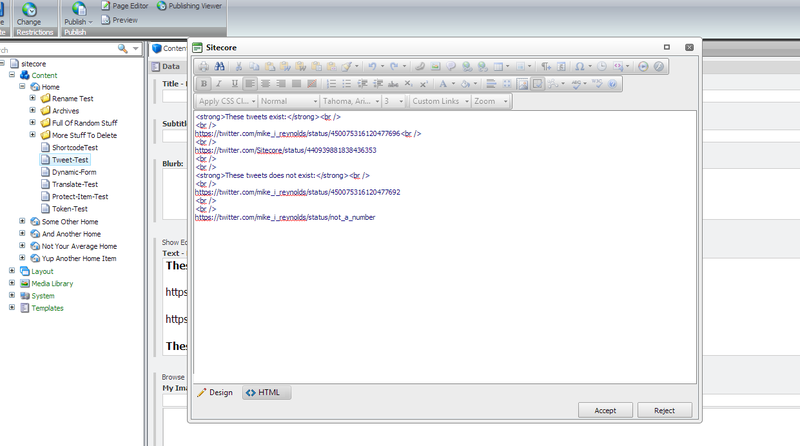 The key must be a character string, and the value must be a Sitecore Item ID. Plus, one has the ability to couple these key/value pairs with “custom data” — this, like the key, is stored in the database as a string which makes it cumbersome around storing complex data structures (having some sort of serialization/deserialization paradigm in place would be required to make this work). 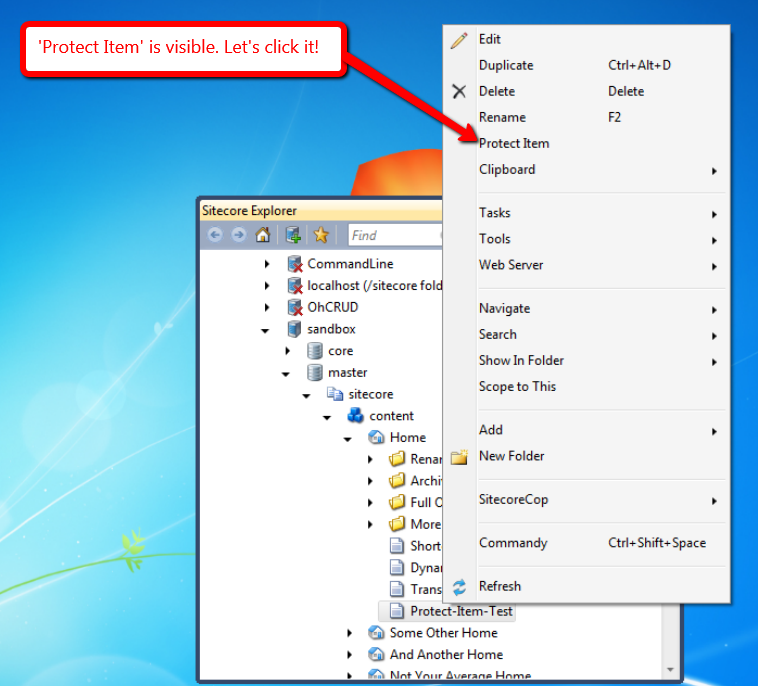 Alex Shyba showed how one could leverage the IDTable for URLs for fictitious products stored in Sitecore in this post, and this article employed the IDTable for a custom Data Provider. If you would like to know more about the IDTable, please leave a comment, and I will devote a future post to it. 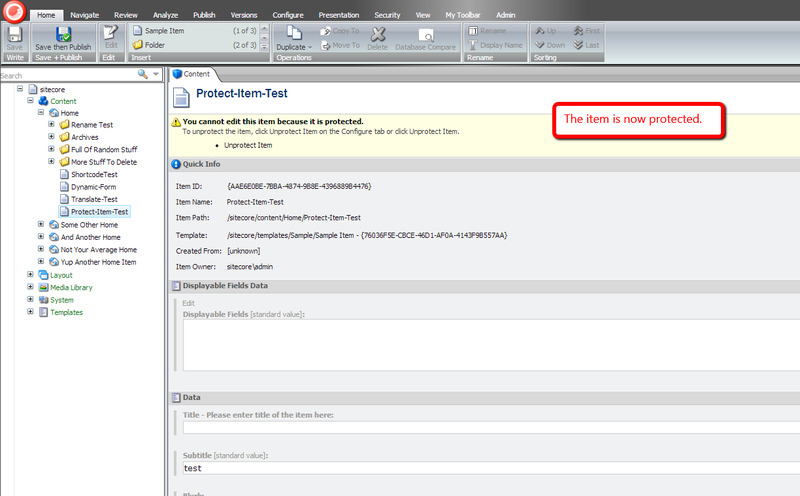 The above class uses the Composite design pattern — it adds/removes entries in multiple IDTableProvider instances (these instances are specified in the configuration file that is shown later in this post), and delegates calls to the GetKeys and GetID methods of the instance that is referenced by the database name passed in to the class’ constructor. The NullIDTable class above basically has no behavior, returns null for the GetID method, and an empty collection for both GetKeys methods. 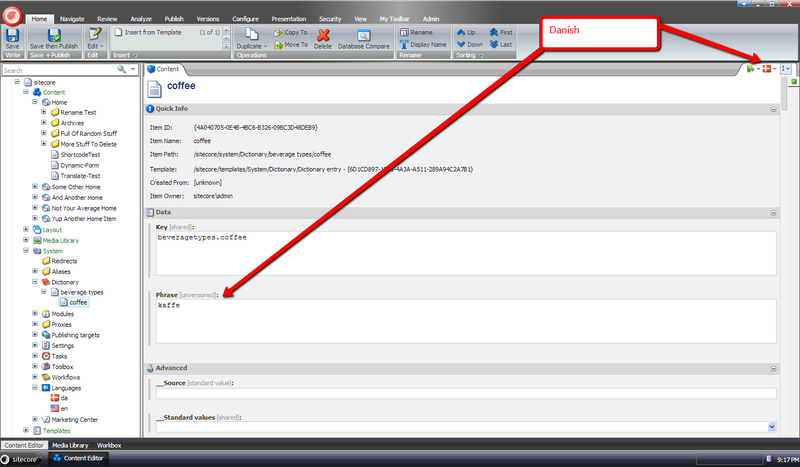 Having a Null Object helps us avoid checking for nulls when performing operations on the IDTableProvider instance when an instance cannot be found in the IDTableProviders Dictionary property — although we lose visibility around the context database not being present in the Dictionary (I probably should’ve included some logging code to capture this). Although I had fun in writing all of the code above, I feel this isn’t exactly ideal for synchronizing entries in IDTables across multiple Sitecore databases. 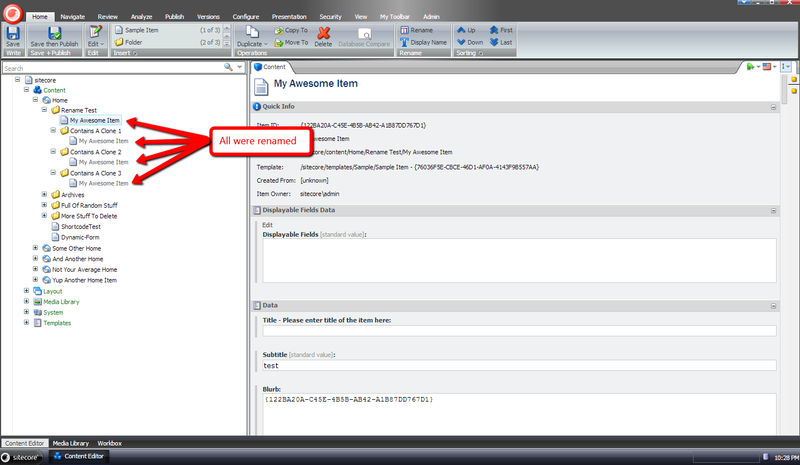 I cannot see why one would want an entry for a Item in master that has not yet been published to the web database. If you know of a scenario where the above code could be useful, or have suggestions on making it better, please drop a comment. In my next post, I will show you what I feel is a better approach to synchronizing entries across IDTables — a solution that synchronizes entries via publishing and Item deletion.